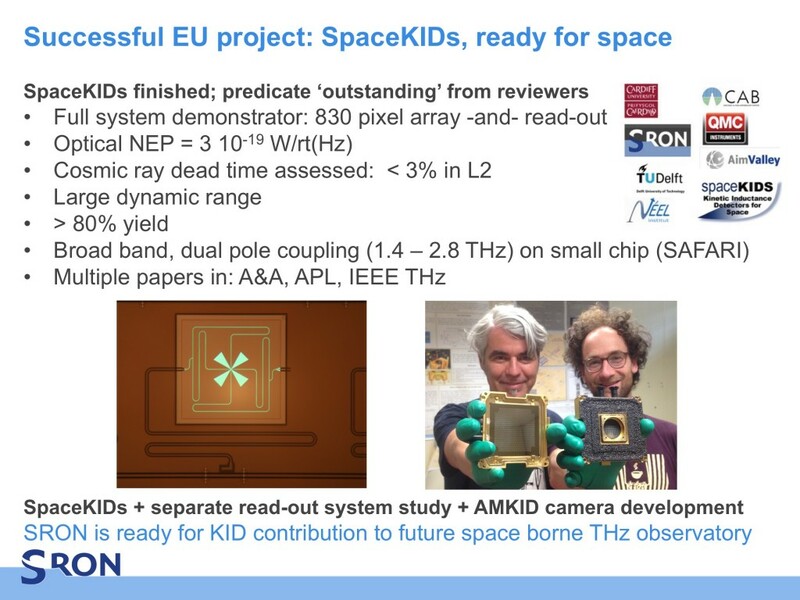 Juan Bueno and Jochem Baselmans and the KID arrays they are working on. Space technology must be able to withstand the extremely harsh conditions in space. 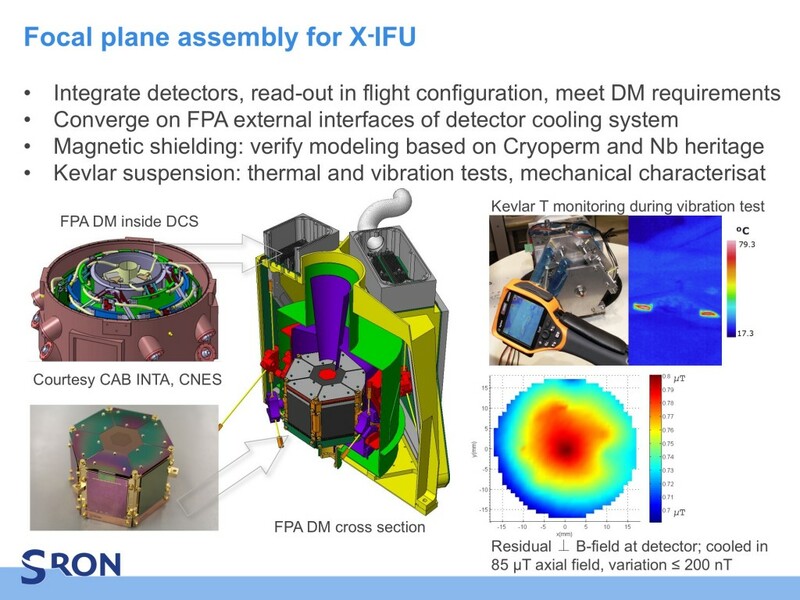 In a vacuum, exposed to highly energetic cosmic radiation and extreme temperature differences, space instruments must be capable of performing extremely precise measurements. 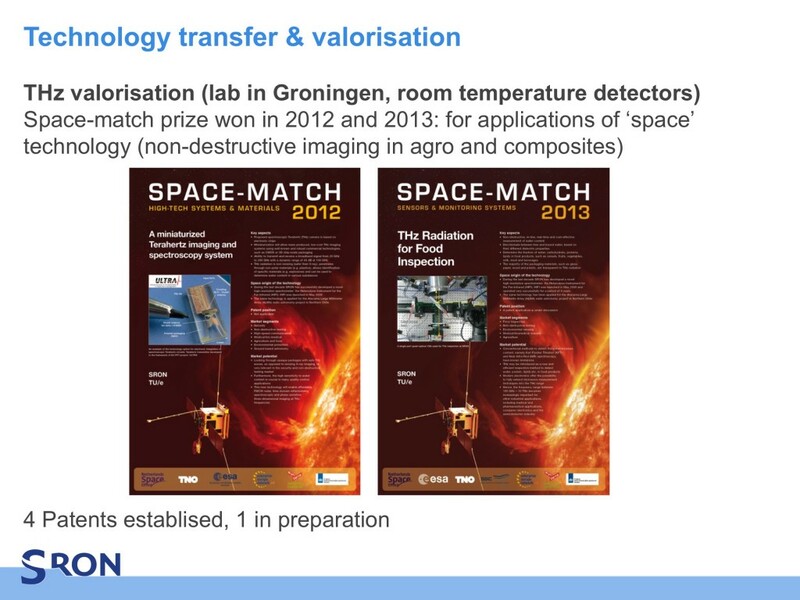 Moreover, all of the components must be able to survive the launch and then function faultlessly for a period of five to fifteen years. 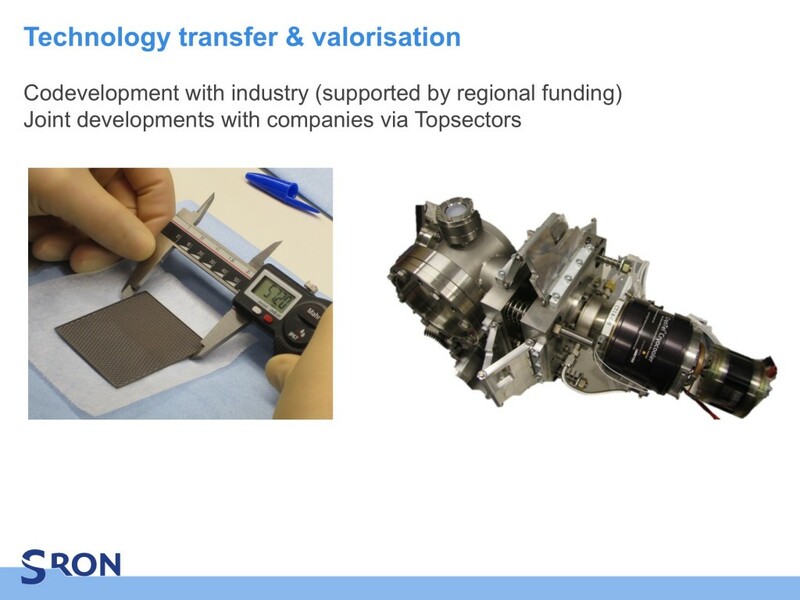 SRON technology is therefore a catalyst for innovative technology that is finding a growing number of applications in society. 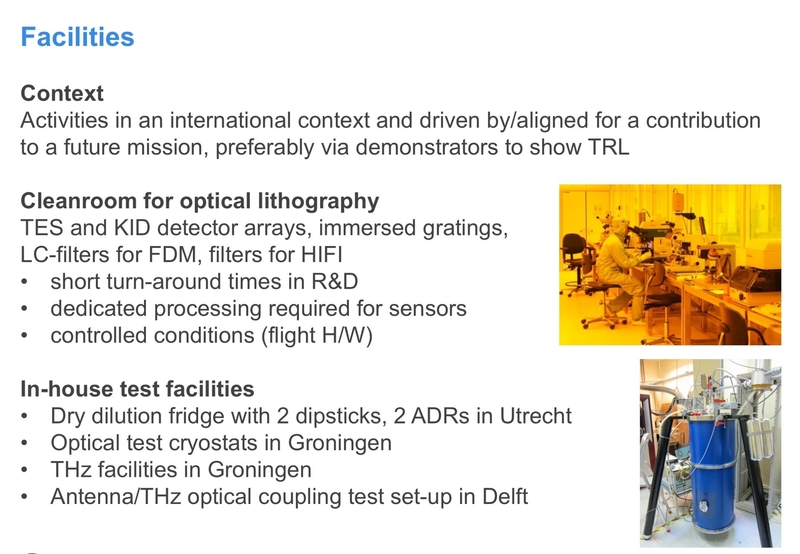 For instance, our terahertz technology has now been launched on the market for inspection purposes. 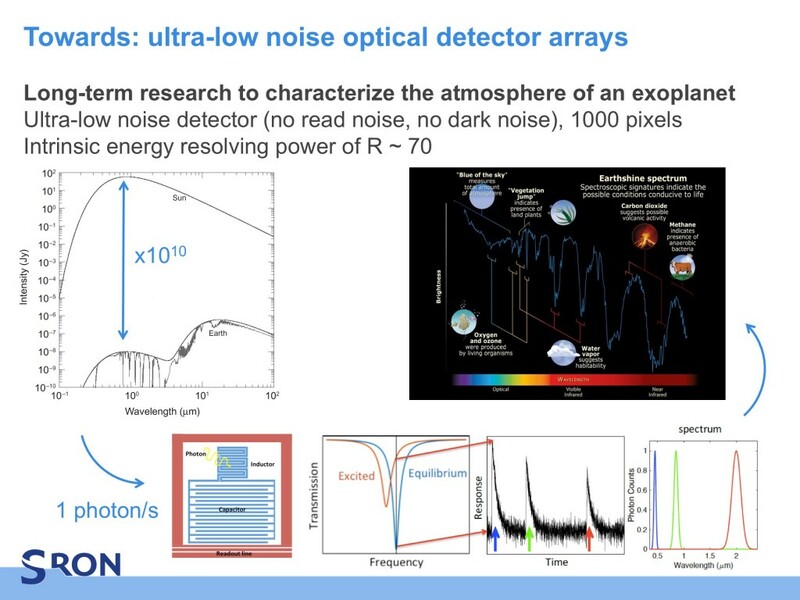 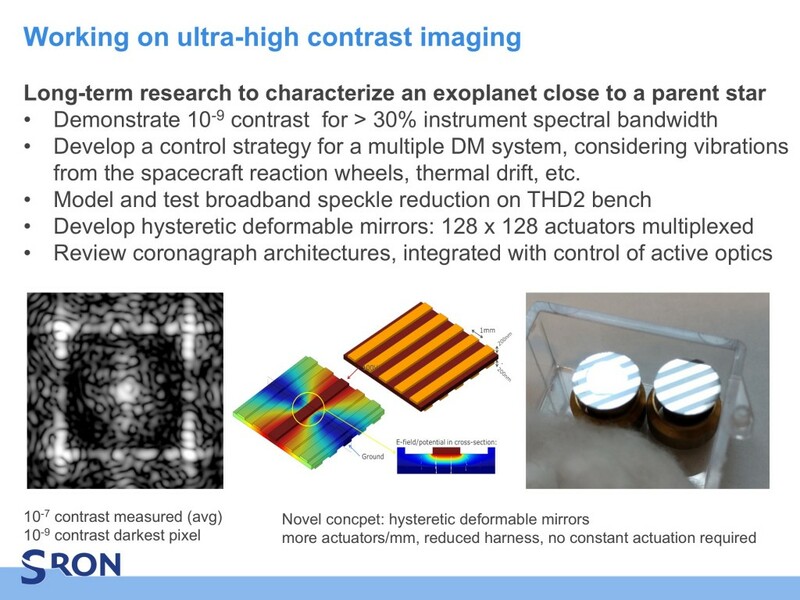 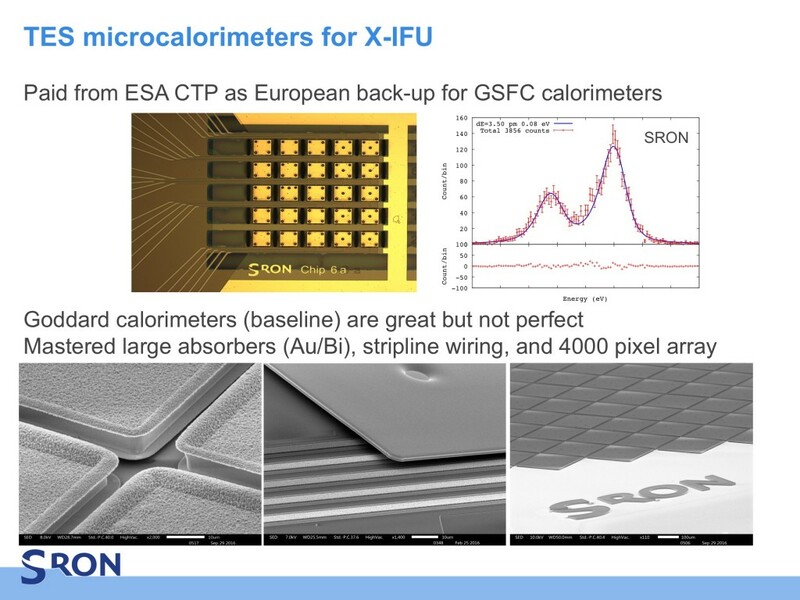 SRON’s X-ray, submillimeter, and infrared detectors are developed to fly onboard the revolutionary space telescopes of ESA, NASA, JAXA, and other space agencies; some submillimeter/infrared cameras and on-chip instruments have been developed to be mounted on ground telescopes. 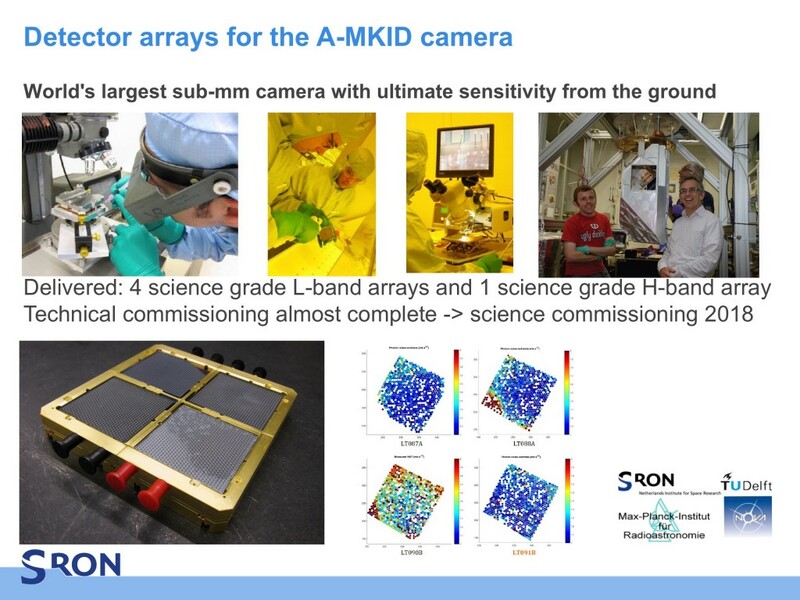 We must continue to work hard on the development of new generations of detectors and the necessary read-out and control electronics. 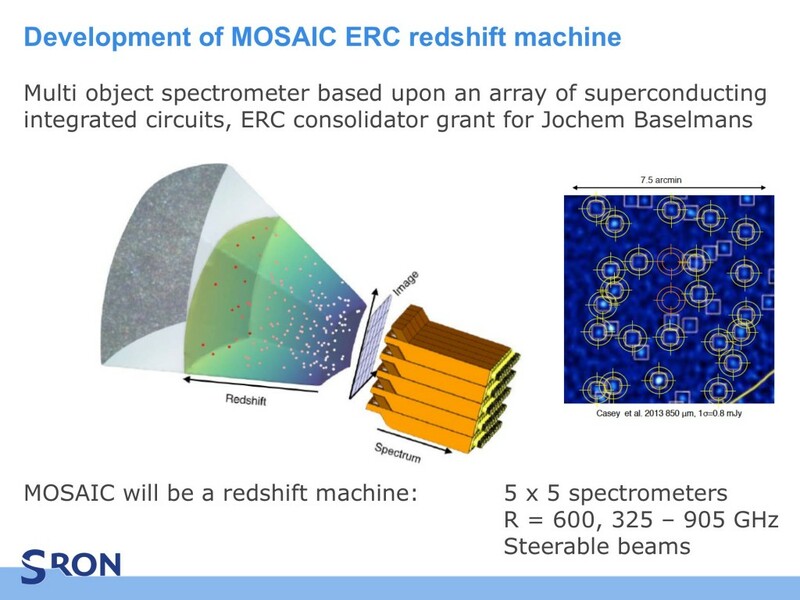 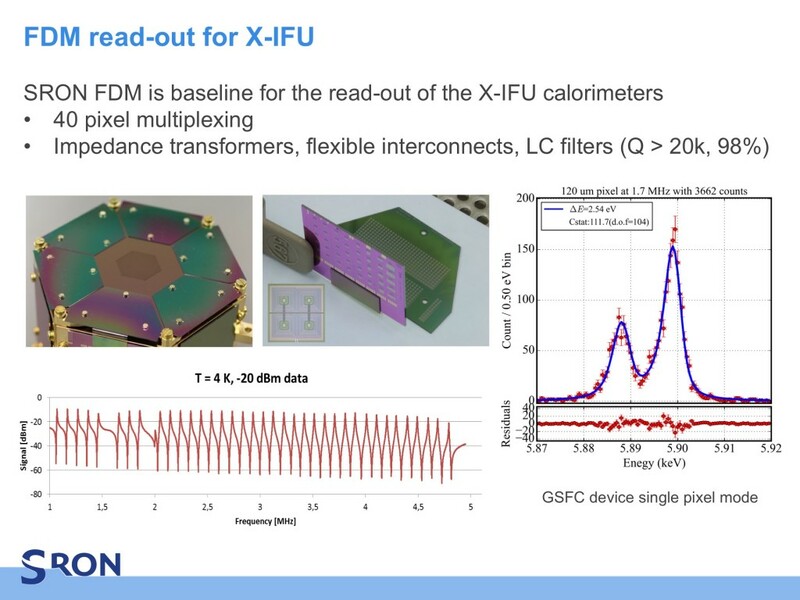 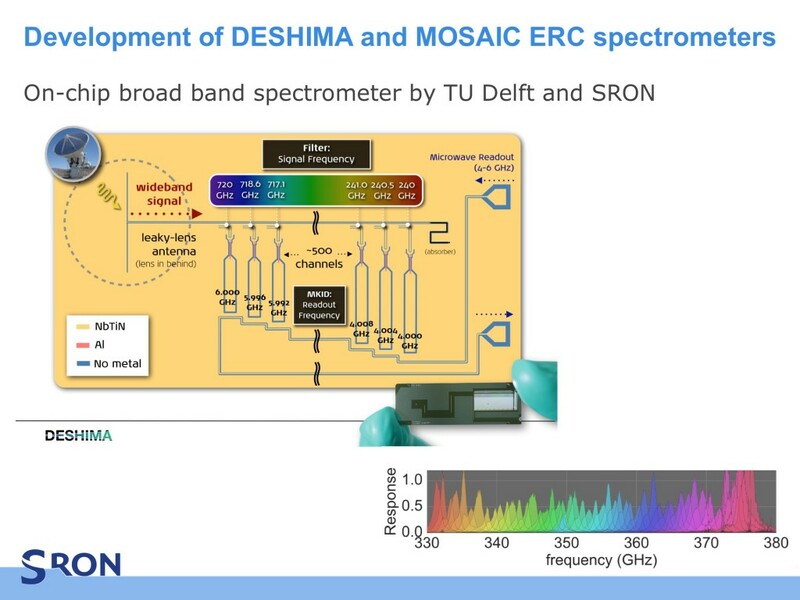 The new generation of (on-chip) spectrometers requires the development of new advanced electronics, superconducting nanotechnology, smart control software, extreme cooling technology, and novel materials. 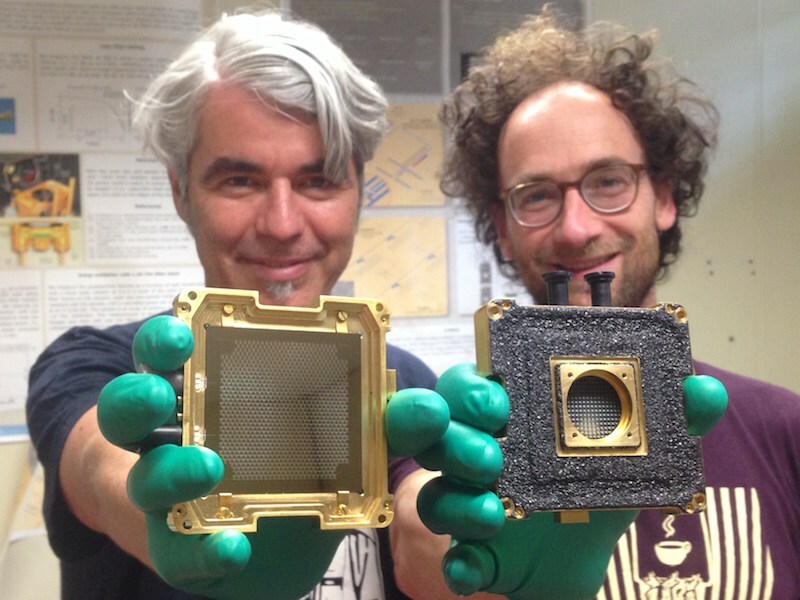 We have the necessary know how, experience, and facilities to do this. 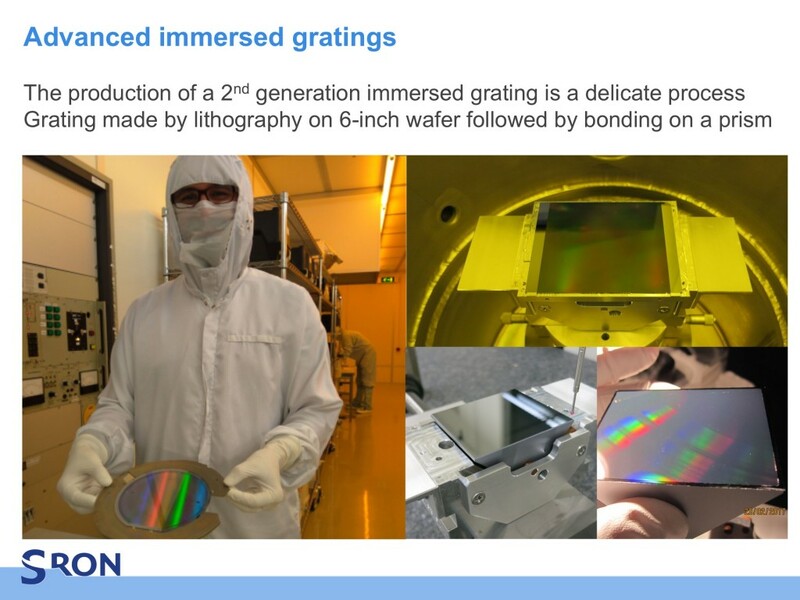 realize (early) science with new technology through demonstrators. 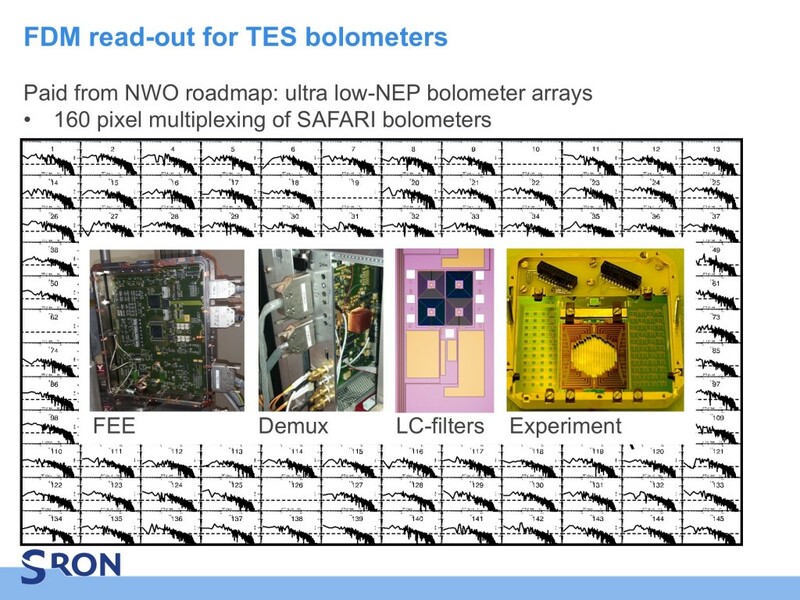 Hot Electron Bolometer Mixers (HEBMs), with a Quantum Cascade Laser (QCL) as local oscillator. 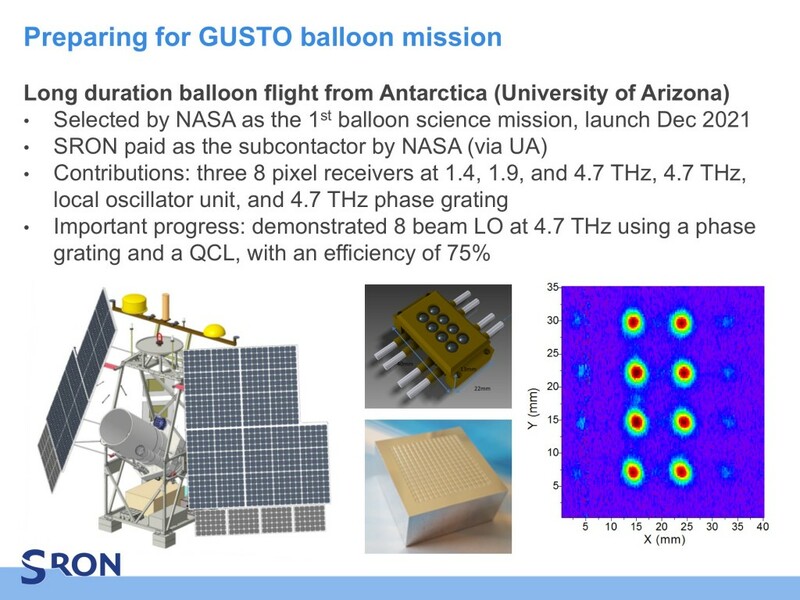 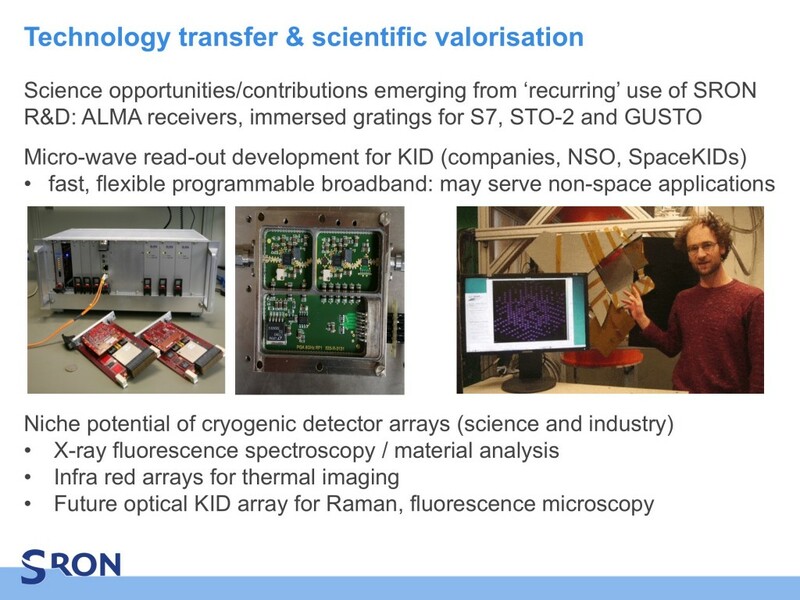 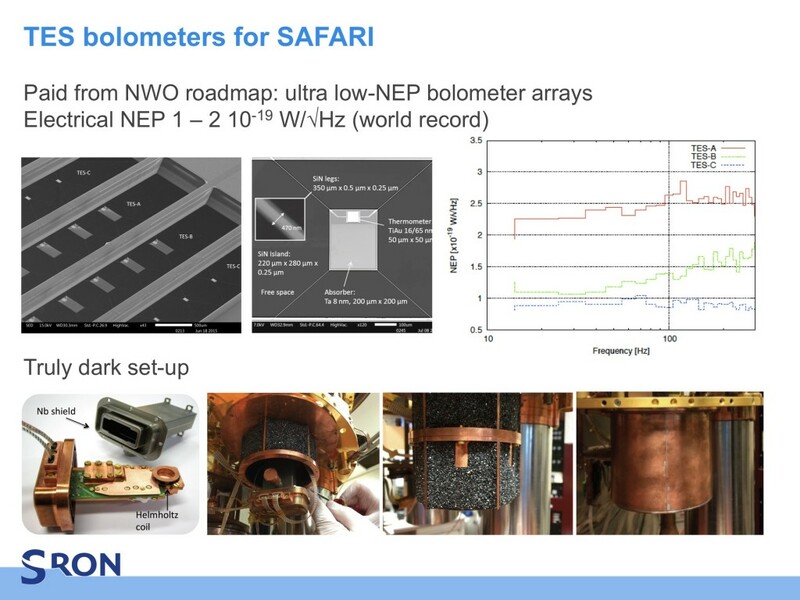 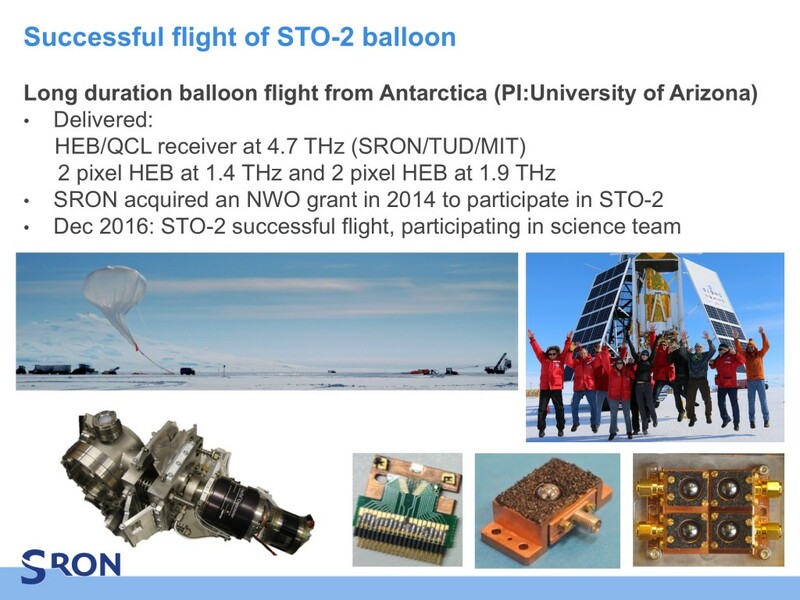 Overview of SRON’s long-term technology development and instrument contributions. 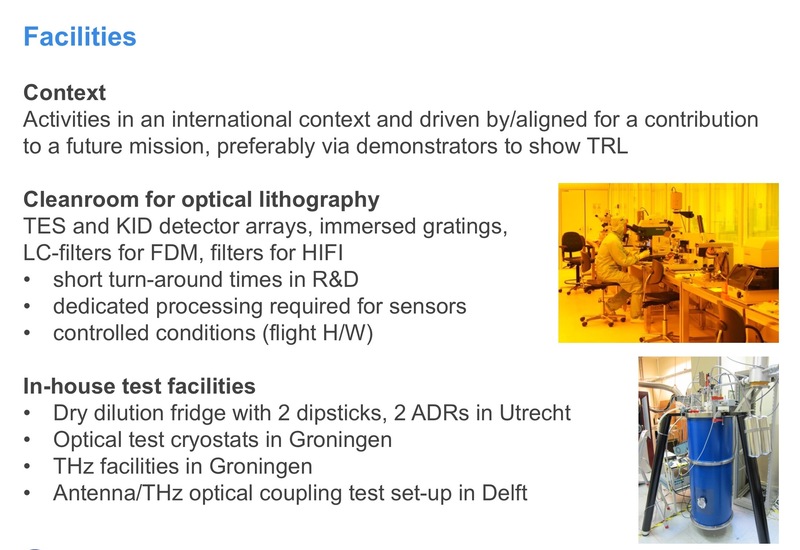 Realizing a prominent (co-)PI role in a mission requires a long-term investment in research and development of technology. 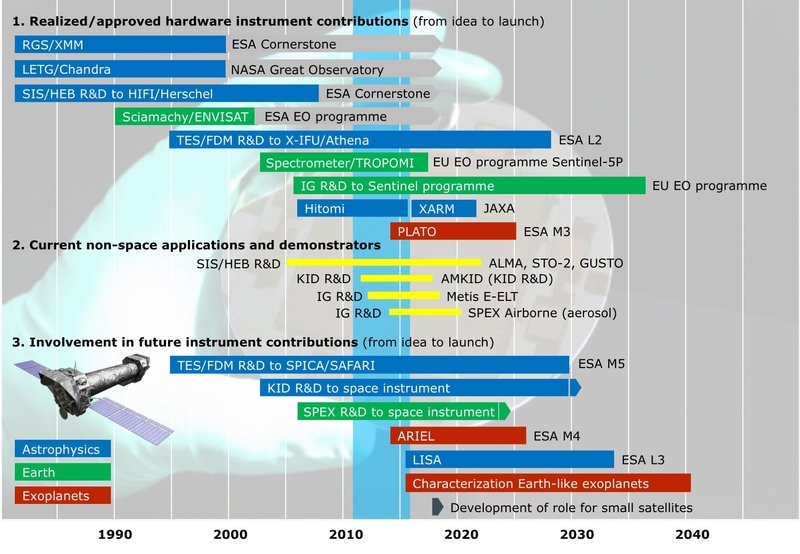 This figure, spanning 60 years, illustrates that the lead times of space projects (from idea to launch) are 10-30 years.